Family can be a wonderful thing. When I ask farm families to list what they value most, “family” usually makes the top three, if not the top. However, mixing family and business can be tricky. It can be a strength and a weakness. The strength is the support family can give individuals and the business to help it through difficult and stressful times. Family resources can help to capitalize on opportunities that arise. The weakness can arise when there is too much focus on family and not enough on the business. There’s a saying that comes to mind: farming as a way of life can make a poor business, whereas farming as a business can make for a great life. Farm businesses are becoming more complex in the way ownership is structured, who the owners are and how they are managed. Management needs the most attention. It’s important to understand how the business is managed, who does what, who’s responsible for what and how decisions are made. Families can benefit by coming to a consensus on what management is needed for the future. This is tricky because there is no single correct way of doing it, and family members sometimes have differing opinions. As well, businesses, including farms, typically outgrow management. For farms, growth usually is operationally driven, such as more acres or more animals. 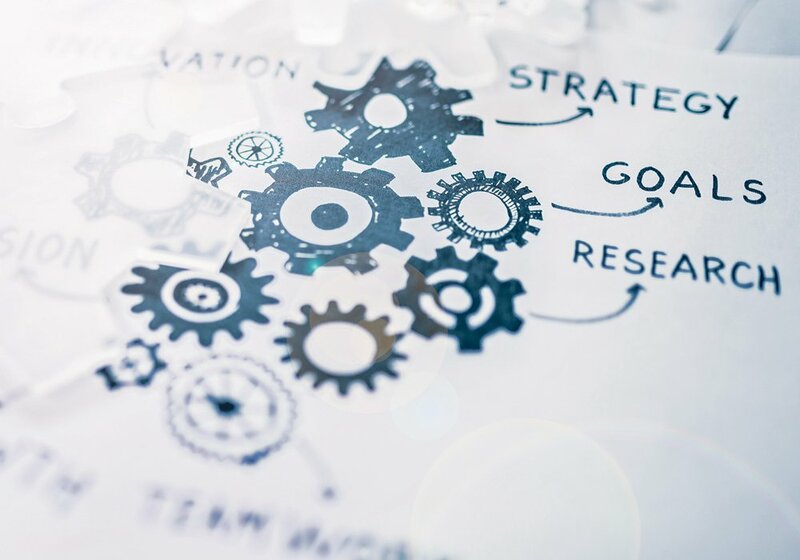 At some point though, managing growth needs to extend beyond an operation’s focus and integrate finance, marketing and human resource management. Family can be described as a system with a primary purpose of developing and promoting self-esteem and sharing common values. Each family operates with its own style, role relationships, rules and ways of dealing with challenges that come from managing relationships. In extended farm families, there are more and different relationships to manage. In fact, for many farm families, there are, or soon will be, structures where cousins and nephews or nieces are involved. In contrast, a business system’s primary purpose is to use resources to make a profit. Combining a family with a business blurs the lines that distinguish one system from the other. The accompanying illustration is adapted from work done by John L. Ward, who has written several books on families in business. They are easy to read, not long and have application to farm families. 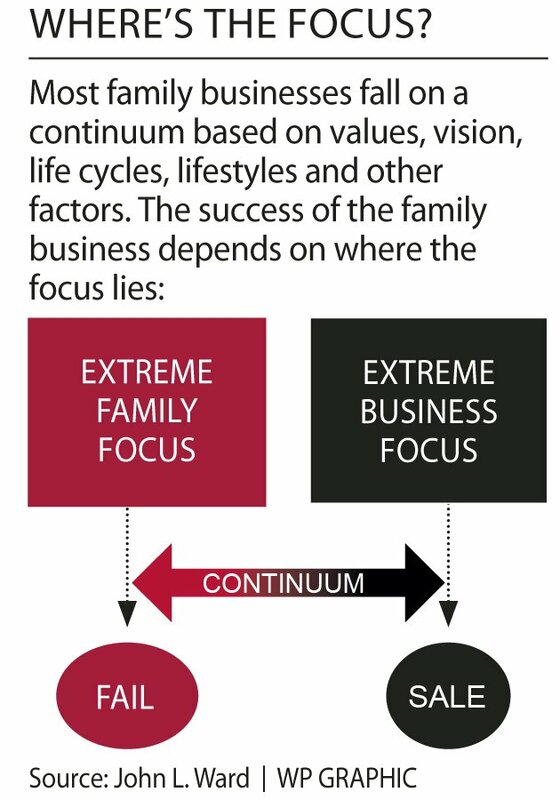 Ward presents a continuum to bring understanding to the challenges families face in trying to balance business and family interests. The business will eventually fail when too much focus is placed on family. Conversely, an extreme focus on the business will eventually result in its sale as family members choose not to be in “business” together. The challenge is finding and maintaining the balance somewhere between the extremes. For most farms, the balance is not static. Circumstances change, situations evolve and challenges and opportunities arise. A farm family in business works through life cycles that affect the balance. The focus will need to swing more to one focus or the other at different points in time. Finding and maintaining a healthy balance is key, but not easy. A good first step is working within the family to agree on where people think they currently sit on the continuum. A logical next step is to determine the balance that the family should work toward. This needs commitment and actual work on the issue. Understanding and consensus will not happen by itself. It helps to separate business from emotion, but this can be challenging, depending on the business issues or situations at hand. It is powerful to have written and shared personal, family and business goals and to have a written common purpose or vision that defines what the farm and family are working toward. This is extremely important work for many farm families, especially those with visions of generations being in business together into the future. Finding and maintaining the right balance will enhance the likelihood of achieving successful outcomes.